Each rachet has fine tooth gearing with 24 teeth in each. The Bespoke blow moulded case allows the case to be carried in any position without the tools coming loose. The tools stay in their correct locations. 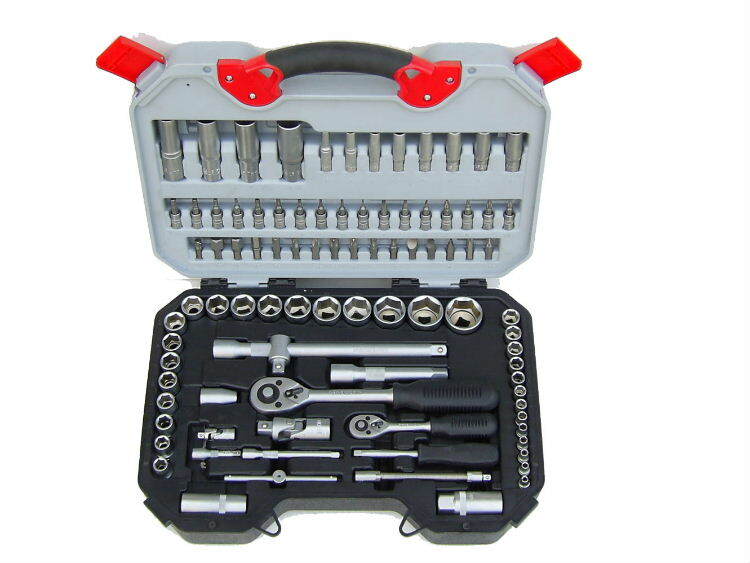 Making for a easily organised socket and ratchet set.The sockets and case weigh over 6.5 kilos to substantiate their quality. Please note:The blow moulded case design may vary. See Accompanying Photos for Further Details, Sizes and the actual quality of these. 2 Extension Bars; 51/2? & 101/2? 2 Extension Bars; 21/2? & 41/2?